Veladya has a Bachelor's Degree from Carnegie Mellon University. She is a Certified Holistic Nutritionist, Wellness Guide & Yoni Steam Facilitator. Veladya has studied via The Institute of Transformational Nutrition and has since expanded her education through lectures, seminars, books & online research. Tasha has been studying western plant medicine for the last 7 years. She has studied under herbalists from Rosemary Gladstar, David Winston and Aviva Romm to Susan Weed and Paul Bergner . A community based herbalist with my primary focus being women's health and flower essences and owns an herbal tea company based in Santa Cruz called Tea Tree Herb Co., Tasha focuses on plant energetics, flower essences for emotional blockages in the womb and beyond , and teaches classes on various ways we can connect deeper with the earth, our bodies and ourselves on an emotional and spiritual level. She is also a licensed Doula and current midwifery student. Anne-Lauren is an International Yoga Therapist and Body Worker, drawing most of her healing insights from nature and the elements. She came to Yoga as she began an inner and outer journey to connect with sustainable peace and deep joy. This path has led her to some beautiful cultures and amazing practices, some of which she studied in depth for extended periods of time. Her most effective practices are Yoga Asana, Meditation, Pranayama, Tai Chi, connecting with the Wisdom of Nature and Play. Leah’s work is a culmination of the past 8 years of studying and training with various teachers. She combines Ayurveda, herbalism, and thetahealing (energy work) in her private practice. These bodies of information are her personally tested foundation for the long and winding journey into the self. Through combining these modalities, she is able to get a unique and focused perspective into whole, embodied healing. She extends the deepest gratitude to all her teachers thus far including- Eleena Danielson, The California college of Ayurveda, the teaching staff of California school of herbal studies, and her current mentor, DeAnna Batdorff, of the dhyana Center. Hannah Grasso began teaching yoga at 16 years old. 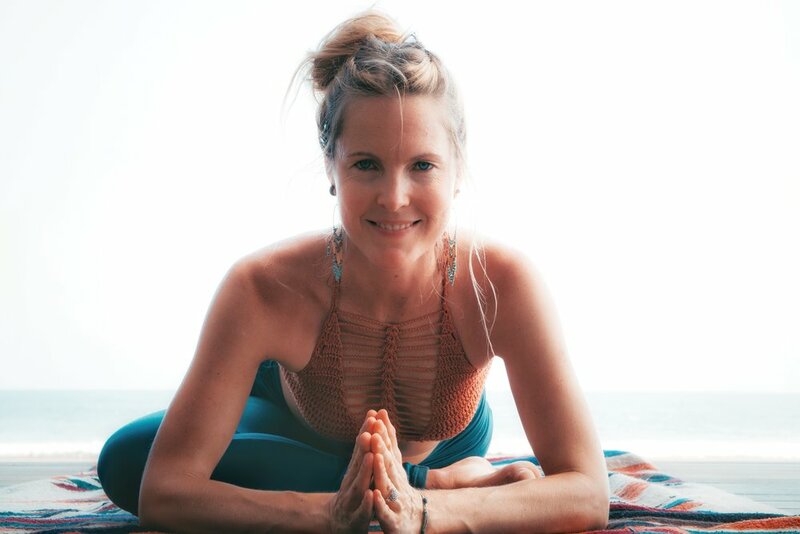 Originally trained in traditional Hatha Yoga with heavy influences from Iyengar and Ashtanga yoga, Hannah studied with her beloved YogaWorks mentor Lainie Devina to become a certified E-RYT 500. After the birth of her own son and working with mothers as a Birth Doula, she found the Amba School of Movement and felt right away how powerful and deeply needed the Amba practice is for women. 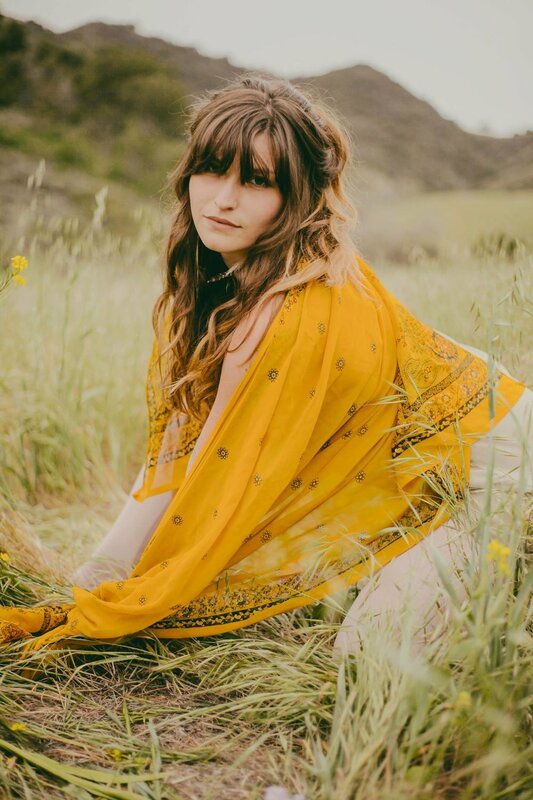 She continues to study with the founder of Amba, Meghan Morris, in Topanga, Ca while leading an online program called The Village for mothers looking to heal and transform their lives through lunar guidance, womb wisdom, embodied movement, & sisterhood. Yasmeen is a community healer who spent years traveling, exploring various systems of living and establishing understanding of indigenous ways. After graduating from SUNY New Paltz with a journalism/interpersonal communications degree and working for various non profits she set out to grasp a deeper understanding of alternative healing modalities. This led to the discovery of the vedas and the ancient teachings and plant wisdoms known as Ayurveda. She hopes to spread her love for community and healing through the increased gathering of women and tribe where we can come together on common grounds of humanity regardless of color creed religion or socioeconomic status. She is a member of global and national communities and has a passion and vision for world wide unity through exchange of storytelling and outreach. Cassie is a farming fermentress / microbe & herb nerd ~ mostly self-taught via experimentation, books, and a developing intuition. She is certified in Permaculture Design and earned a BA from the University of Wisconsin, though her most valued lessons come from interacting with the earth. Cassie avidly studies soil, herbalism, fungi, fermentation, ecology, etc and live in the forest where she is blessed to receive and integrate lessons from Mama Earth. Courses in Microscopy and Korean Natural Farming have inspired a bubbling love of brewing up probiotic vitality. It is her passion and heart-work to forage/ grow potent plants (and fungi!) and transform them into delectable living nourishment. Cassie is from European (mostly Polish-Austrian) on her dad’s side and her mama was adopted, not knowing her precise origins. She hadn’t known anything of my ancestors until recently submitting a DNA test, which revealed distant relatives in a shamanic Siberian tribe and that she is also half Ashkenazi Jew... thus provoking a new journey into ancestral heritage. Cassie is beginning to research the fermented foods and herbal remedies of her ancestors, hoping to uncover and reclaim the thoughts and practices of my predecessors. She yearns to discover a culture to identify with and a deeper-rooted reason for being called to the arts she hones. Amidst the deep peace of forest paths and blossoming meadows, Cami feels most at home. 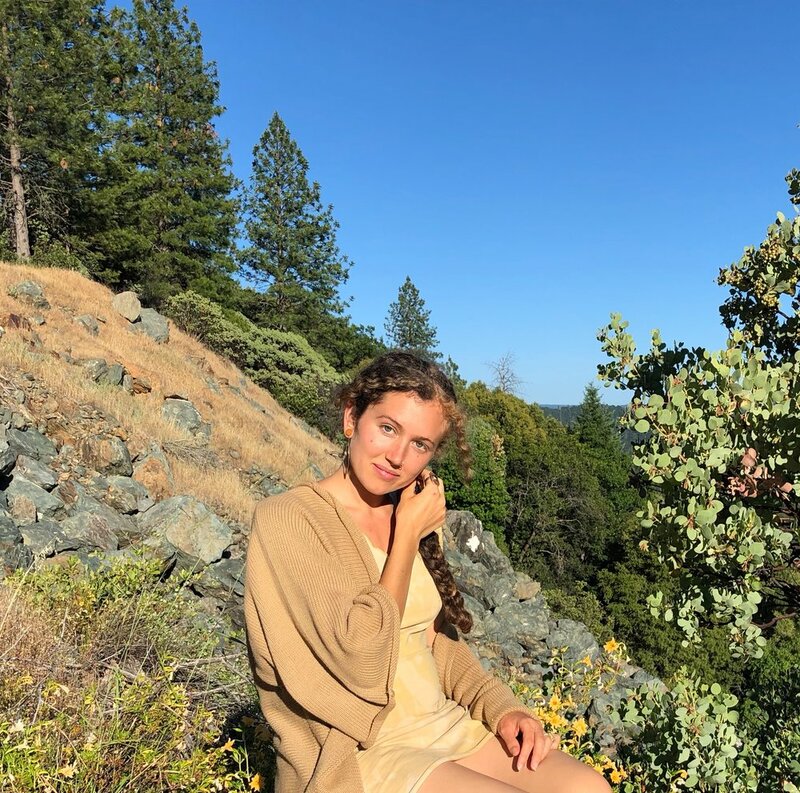 Her love of plants began years ago when she was first introduced to the wildness of off grid living, and has deepened over time through the study of herbalism, botany, and organic farming. She loves creating herbal formulas for clients in her clinical practice, drafting herbal musings, crafting herbal medicine for her apothecary, and making botanical art. She devotes most of her time to studying the energies of plants and deepening her knowledge of how the human body and plants interrelate. Her life is rooted in the belief that plants will play a pivotal role in providing resilience in the transitional times we are approaching, acting not only as physical and spiritual medicine, but also helping us to restore our connection to the web of life. As a gifted intuitive consultant, Lindsay is extremely passionate about facilitating conscious awareness and healing in her clients. Previously a practitioner and college instructor of Structural and Somatic bodywork styles, Lindsay is sought out for her “knowing” and exemplary healing gifts. Lindsay utilizes her innate empathic and intuitive gifts, Mediumship, energy healing modalities, NLP, somatic movement therapy and a multitude of other tools to transmute each individuals experience of life into a more profound, purposeful existence. Bree and Lindsay are enthusiastic about continuously expanding their own knowledge to deepen their gifts and guide others through healing. They feel called to teach others to connect with their own intuition in order to live the life of their dreams. Together they are dedicated to working with clients and students to identify physical, emotional and energetic blockages, unraveling disadvantageous patterns and to raising the consciousness of humanity as a whole. With a background in mental health, massage therapy and energy work, Bree has a focus on holistic lifestyle wellness. As a lightworker, Bree’s empathic approach to healing has allowed her to build a thriving practice of high profile clients, and to be sought out to guide life transformations. Bree is committed to leading clients through the transcendence of old ways and into the divine fulfillment of their souls purpose.